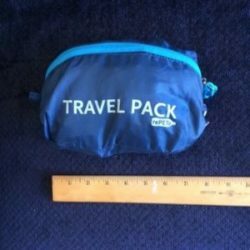 It’s that time of year to pick my favorite travel items. After assembling the list, I realized that travel clothes seem to have common threads: they look good, are comfortable and functional. But, what to pack them in and how about gadgets and discounts? They are all here! Chico Bag – My “must have” item is their Travel Pack. It tucks away neatly until unzipped. Then, it becomes a full-sized backpack. It’s made of 100% post consumer, recycled plastic bottles. Chico Bag has an array of reusable bags for shopping, groceries, lunch/snacks, etc. Pick out a gift at www.chicobag.com. Craghoppers – They are an official partner of National Geographic. 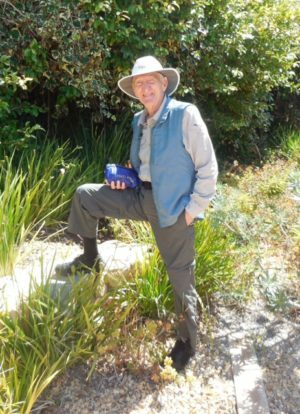 My lightweight “Adventure Model” long-sleeved shirt provides sun and insect protection, features lots of pockets and is quick dry. 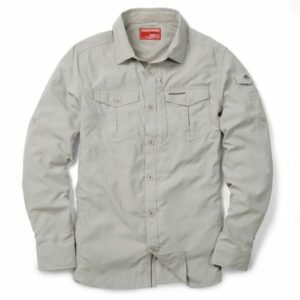 Find an inventory of their jackets, shirts, pants and accessories for men, women and children at www.craghoppers.com. 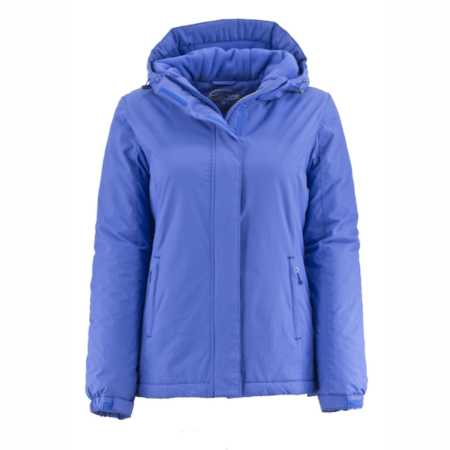 Outdoor Research – I’m a big fan of their outerwear. My pick this year is the lightweight, durable Neoplume jacket. It’s water and weather resistant with hand warmer pockets. OR features great fashion travel choices for men and women and their products are guaranteed forever. Logon to www.outdoorresearch and buy something. Note: that’s their cap too! SCOTTeVEST – Their website, www.scottevest.com, states, “At SCOTTeVEST, we create durable garments…specifically designed to carry your daily needs.” Their Featherweight Vest becomes my wearable third carry-on when flying. There are 14 pockets of various sizes for smartphone, camera, water bottle, paperback and RFID protection for credit cards and passports. White Sierra – In October, my wife and I spent 12 days sightseeing in Utah’s National and State Parks. Her Rainier jacket was weather perfect. I wore my Sierra Point Convertible Traveler Pants (full length in the morning and shorts in the afternoon…see above photo). There’s something for every family member at www.whitesierra.com. Ahnu – Unusual name, great shoes. The Sugar Pine Air Mesh model provided a perfect fit, feel and toughness for my wife’s hiking/walking on the trip mentioned above. My stylish waterproof Balboa model provides dual use for outdoor wear or casual dress. For more, go to www.ahnu.com. Teko – I was advised to wear compression socks on long airplane and car rides; Teko to the rescue with their ultralight compression socks. 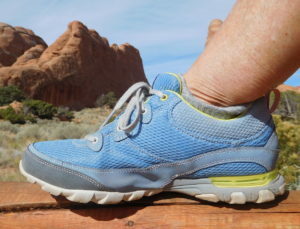 Turns out they are also popular with runners, bikers and hikers. All of their products are 100% guaranteed. Check out the inventory for the entire family at www.TekoForLife.com. 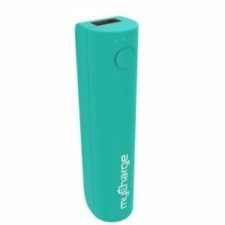 myCharge – This compact portable charger provides 15 hours of juice. Its contemporary design includes an integrated cable for recharging. It powers smartphones and tablets, as well as wearables, earbuds and VR devices. Look at www.mycharge.com for more information. Entertainment Book – It’s my perennial choice as the premier source for dining, shopping and travel discounts in cities throughout the country. It’s also available in digital format through their website and mobile apps. 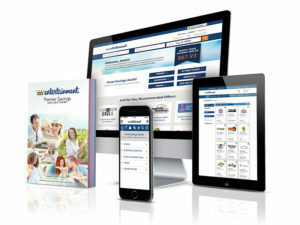 Learn more at www.entertainment.com. Freebie! 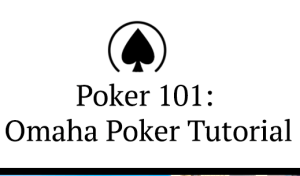 – My award winning app, Poker Tutorial: Omaha 101 Plus An Insider’s Guide to Reno, is now free. Logon to www.PokerResorts.net for download instructions. Enjoy the journey and happy holidays! 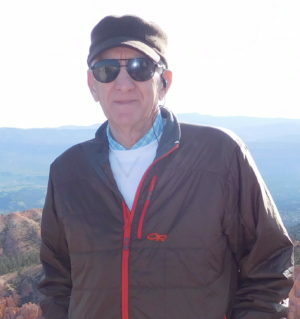 This entry was posted in Travel Products and tagged hiking shoes, holiday gear, socks, travel clothing, travel gifts. Bookmark the permalink.